Aizawl, Sep 23 : The Jewish community in Mizoram mourned the recent passing away of Rabbi Eliyahu Avichail, a religious leader who founded an organization, Amishav, to help the Bnei Menashe ('sons of Menasseh') community in the state and neighbouring Manipur get recognition as Jews. Jeremiah L Hnamte, a leader of the community that claims to have descended from one of the 'lost tribes' of Israel, said condolence services were held across Mizoram and Manipur on Thursday, the day Rabbi Avichail died at the age of 83. Another round of services will be held on September 24. Hnamte said a minute's silence was observed, words from the Psalms read out and 'Kaddish' or prayer offered for the Rabbi. "We mourned the death of Rabbi Avichail who was instrumental in the acceptance of the Bnei Menashe community, comprising Kuki-Mizo-Chin people, as Jews," he added. 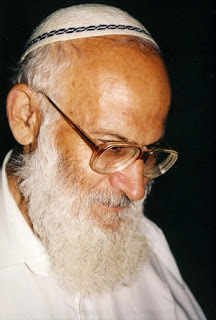 Rabbi Avichail visited Mizoram in 1988-89 and again in 1996 and 2004. He founded Amishav in 1975 to help the Bnei Menashe community. His successors, including Michael Freund, a columnist with the Jerusalem Post, rechristened the name of the organization from 'Amishav' to 'Shavei Israel' ('returners of Israel'). In early 2005, the Sephardic Chief Rabbi Shlomo Amar in Jerusalem recognized the community as comprising 'descendants of the Israeli tribes'. According to an estimate by local Bnei Menashe leaders, about 7,000 Jews currently live in the northeast and around 2,000 have settled in Israel.